Roughly 424 pages of artwork, interviews, sketches and much more await. 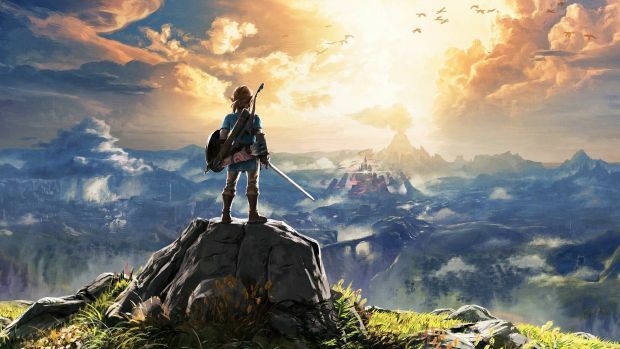 Nintendo’s The Legend of Zelda: Breath of the Wild is finally getting a hardcover companion book totaling 424 pages in length. Retailing for $40, Creating A Champion will be out on November 20th. It’s essentially a localization of the Breath of the Wild Master Works which was released by Nintendo in Japan. Published by Dark Horse, the companion book will feature 296 pages of artwork and commentary, 55 pages of lore detailing the events that led to the game’s story, interviews with Eiji Aonuma, Hidemaro Fujibayashi, Satoru Takizawa and Takumi Wada and much more. You can also expect 50 sketches and illustrations from Wada, who’s been the main Zelda illustrator since Skyward Sword. If you need any more assurance of the book’s quality, it’s worth noting that Dark Horse also release Hyrule Historia and the Art and Artifacts book. It’s also bringing out the Zelda Encyclopedia. Essentially, if you’re looking for even more backstory on the game and its DLC packs, Creating A Champion might be worth picking up.